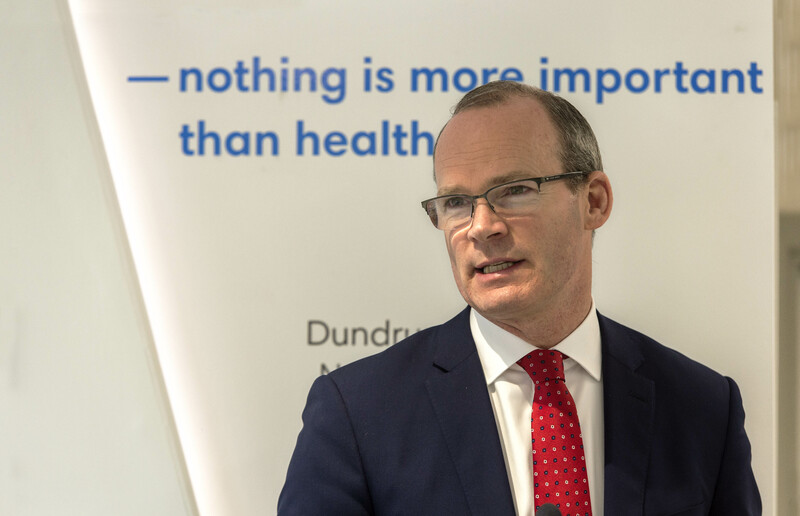 Simon Coveney, TD, Tánaiste and Minister for Foreign Affairs & Trade in the presence Mayor of the County of Cork Councillor Patrick Gerard Murphy has today (April 5) marked the official opening of Tabor Group’s ‘Tabor Fellowship House’ at Spur Hill, Doughcloyne, Cork. This development was supported by The Department of Housing, Planning and Local Government through Rebuilding Ireland, Cork County Council and the HSE with funding of €4.8 million. The development was built on the existing site of Tabor Fellowship House and will increase capacity from 10 residents to 22, completing a treatment programme. The facility will also include an additional 11 units of accommodation for people who have completed their primary addiction programme but require a step-down model of independent living while having access to ongoing support and care. This new project is addressing both the growing addiction issue in Ireland as well as the increasing homelessness issue. Tabor Fellowship House is one of the most modern facilities of its kind in the country. Cllr Patrick Gerard Murphy, Mayor of the County of Cork, with Maurice Manning, Cork County Council, Denis Healy, Tabor Group chairman, Dr Niall O’Keeffe, Tabor Group CEO, Monsignor Kevin O’Callaghan and John Calnan, Tabor Group operations manager, at the official opening of Tabor Group’s new centre ‘Tabor Fellowship House’ at Spur Hill, Doughcloyne, Cork. 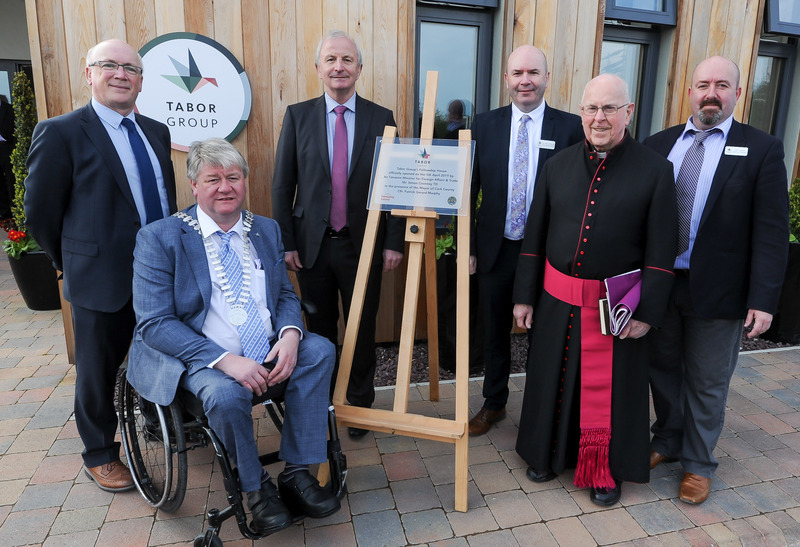 Outlining the benefits of Tabor Fellowship House development, Denis Healy Chairman of Tabor Group said: “We have been delivering addiction services in Cork since 1989. Over that time, the number of people needing our services have increased significantly and the profile of client presenting for help has evolved. Tabor Fellowship House provides the necessary extended treatment for those struggling with addiction and who are working towards independent living”. “The aim of the programme is to build on and consolidate the work of the recovery programme which has already begun in primary treatment. The programme emphasises personal responsibility, peer support, lifestyle changes to help continue a healthy journey of recovery” Denis Healy said. “We have highly skilled staff working with over 300 clients and their families each year. This state-of-the-art facility will allow us to meet the growing needs of people suffering from addiction and sets the foundation for future similar projects. We are calling on our partners to support us in developing other similar facilities like this, here in Cork today” he continued.